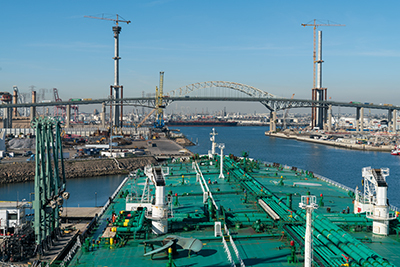 When the supertanker TAQAH called at the Port of Long Beach in late January, the ship made history as the first very large crude carrier to transit the channel at the Port’s maximum possible draft depth of 69 feet. 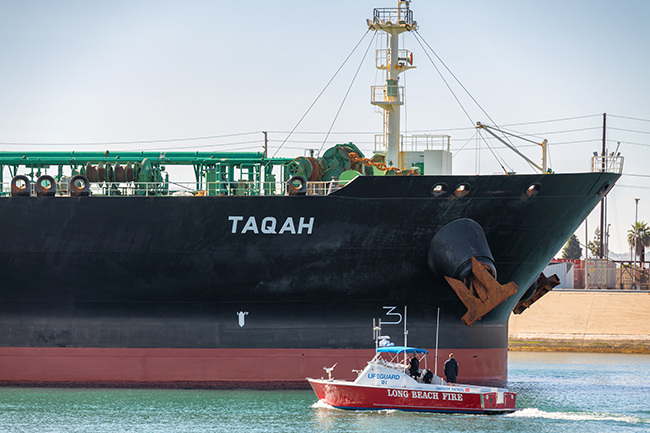 In doing so, the vessel ushered in a new era of safer, cleaner and more efficient marine oil shipping operations. The credit goes to a successful technology demonstration called the Dynamic Under Keel Clearance Project, which brought numerous Port partners together to test new methods for solving an old problem. 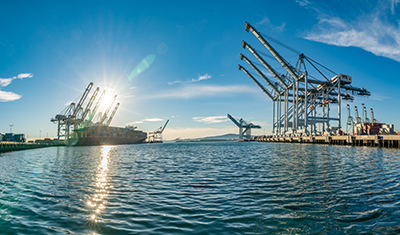 The new year brought a raft of records to the Port of Long Beach, where January container volumes reached an all-time high for the month. Workers moved 657,830 twenty-foot equivalent units (TEUs) through the harbor in January, 12.9 percent more than the same month last year. The total marks the first time Long Beach has surpassed 600,000 containers in the month of January. On Feb. 10, Carnival Cruise Line celebrated the reopening of the newly renovated Long Beach Cruise Terminal and announced it will begin service to the Mexican Riviera from Long Beach on its new ship, the 3,960-passenger Carnival Panorama, in 2019. The Carnival Panorama will be the first new Carnival cruise ship based in Southern California in 20 years. The remodel more than doubles the space Carnival uses for its operations and incorporates new features to enhance the passenger experience. Improvements also include expansion of the facility’s shore power infrastructure for larger ships to run on electricity at berth. Carnival also announced a major port development project in Ensenada, Mexico, one of its destinations from Long Beach.